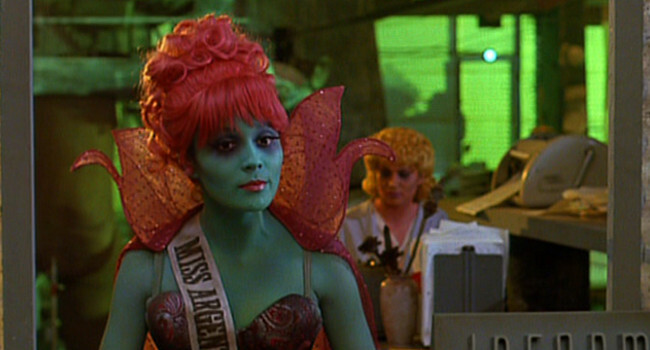 In Beetlejuice, Miss Argentina (Patrice Martinez) serves as the receptionist in the afterlife waiting room. She had an unfortunate “little accident” which is how she ended up there. Her accident however doesn’t really explain why she’s green.